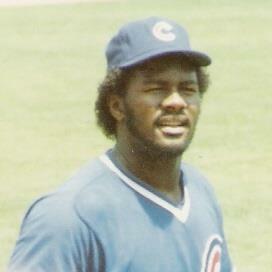 Smith with the Chicago Cubs in 1985. Lee Arthur Smith (born December 4, 1957) is a retired American right-handed baseball pitcher who played 18 years in Major League Baseball (MLB) for eight teams. Pitching primarily for the Chicago Cubs, with whom he spent his first eight seasons, Lee served mostly as a relief pitcher during his career. One of the dominant closers in baseball history, Smith held the major league record for career saves from 1993 until 2006, when San Diego Padres relief pitcher Trevor Hoffman passed his final total of 478. Smith has been a candidate for induction into the Baseball Hall of Fame 11 times since 2003, but has generally received 37–47% of the necessary votes on all total ballots cast by the Baseball Writers Association of America, with 75% needed for election. After the end of his major league career, Smith spent time working as a pitching instructor at the minor-league level with the San Francisco Giants. He then served as the pitching coach for the South Africa national baseball team in the 2006 World Baseball Classic and 2009 World Baseball Classic. Lee currently continues his job as a minor-league roving pitching instructor for the Giants. In the early 1990s, records were falling quickly for closers. Lee Smith set the single-season National League record for saves in 1991 and was on pace to break his own record in 1992. However, he fell four short of his record, which was broken the following season by Rod Beck. In 1992, Smith's former teammate, Jeff Reardon, broke the career saves record held for over a decade by Hall of Famer Rollie Fingers. However, Smith was registering saves at a faster pace than Reardon and by the end of 1992, he was not far behind him on the career list. Just two weeks into the 1993 season, Smith passed Reardon with career save number 358. At age 37, Reardon was slowing down, and Smith was well in front of him when Reardon retired in 1994. The day after setting the career major league record, he saved his 301st National League game to break that record as well. (As had been the case with the single-season NL record, the career NL record was held by Bruce Sutter). Smith had 15 saves in June 1993, the most ever in one month for a pitcher until John Wetteland and Chad Cordero tied him in June 1996 and June 2005, respectively. He reached 30 saves in only the 83rd game of the season, tying the record set by Bobby Thigpen in 1990 for the earliest any pitcher had reached 30 saves. (Eric Gagné broke the record in 2002). While only in August, Smith logged his 40th save for the third consecutive year, but his ERA had ballooned to a career-worst 4.50. Also, the Cardinals were ten games behind Philadelphia, seemingly out of contention, and Smith was poised to become a free agent after the season. On August 31, 1993, the Cardinals traded Smith to the Yankees for Rich Batchelor. Smith left the team as their all-time save leader until Jason Isringhausen passed him on June 13, 2006. At age 36, Smith started 1994 pitching better than ever. In his first 12 games, he had 12 saves and a 0.00 ERA. After nearly two months, his ERA was still under 1.00 and it was still under 2.00 in mid-July. Smith had been selected for the All-Star Game in 1991, 1992 and 1993 but had not played. After his sixth selection in 1994, Smith was brought into the game to hold a two-run American League lead in the ninth inning. Instead, he gave up a game-tying two-run home run to Fred McGriff, and the AL lost in ten innings. Smith's bad streak continued for the next several weeks until the 1994 Major League Baseball strike ended the season. He filed for free agency again and signed a two-year contract with the California Angels for over $2.5 million while the strike was still in progress. In 1995, Smith registered a save in every appearance from April 28 to June 25. On June 11, he saved his 16th consecutive game to break the major league record set by Goose Gossage). Smith did not fare well for the next month, pushing his ERA all the way up to 5.40. Regardless, the Angels held a double-digit lead in the division and seemed set for the postseason. Instead, California suffered one of the worst collapses in major league history, blowing the entire double-digit lead in less than six weeks. While the rest of the team was reeling, Smith reverted to his early-season form and pitched fantastically for the last two months, only blowing one save attempt in that span. He finished the season with 37 saves and a 3.47 ERA, which was more than a point higher than the league average. In the 2006 World Baseball Classic, Smith served as the pitching coach of the South Africa national baseball team, which was given 20,000 to 1 odds of winning the tournament. In 2007, Smith participated as a coach in the second annual European Baseball Academy for Major League Baseball International in Tirrenia, Italy. The Academy provides instruction to young players from Europe and Africa, several of whom have signed professional contracts. Lee Smith became the father of twins, Nicholas and Alanna, in October 2003. He also has three children from a previous marriage, Nikita (born c. 1987), Lee Jr. (born c. 1989) and Dimitri (born c. 1993). In 1995, Pulitzer Prize-winning sportswriter Jim Murray selected Lee Smith as the active player most likely to be elected to the Baseball Hall of Fame, describing him as "the best one-inning pitcher the game ever saw," and "the best at smuggling a game into the clubhouse in history." Since his retirement two years later, much speculation has centered on Smith's specific chances of becoming a member of the Hall of Fame as well as the criteria for relief pitchers and closers in general. Only Hoyt Wilhelm, Rollie Fingers, Dennis Eckersley, Goose Gossage, and Bruce Sutter have been inducted into the Hall of Fame-based primarily on their relief pitching, and only Sutter has been inducted with fewer innings or starting appearances than Smith. In addition, Fingers and Eckersley – the only two to be elected in fewer than eight tries – won MVP awards, and Sutter captured a Cy Young Award, but Smith was rarely a serious contender for either trophy. He pitched in a transitional era, when closers began to be expected to pitch only a single inning; although Smith and Goose Gossage each pitched in slightly over 1,000 games, Gossage ended his career with over 500 more innings. Sutter was the first pitcher ever elected to the Hall with fewer than 1,700 innings pitched; Smith, who pitched fewer innings every year from 1982 through 1989 and never pitched more than 75 innings after 1990, ended his career with fewer than 1,300. In 2005, statistician Alan Schwarz described Smith as a long shot for election despite the career record, and used Retrosheet data to compare the saves of several top relievers including Smith, Eckersley, Fingers, Gossage and Sutter. While Smith's save percentage (82%), outs per save (3.72) and average of inherited runners per game (.50) compared well with Eckersley's marks (84%, 3.33, .49), his figures in the last two categories sharply trailed those of the others; Fingers, Gossage and Sutter all averaged between 4.72 and 4.82 outs per save, with Sutter inheriting .67 runners per game and the other two .86, suggesting their saves were harder to achieve. Smith started his career earning multiple-inning saves, but the strategy in baseball for closers changed, and he was later used as a one-inning pitcher. He had a higher career save percentage than Fingers, Gossage and Sutter. Trevor Hoffman and Mariano Rivera both exceeded Smith's former record of 478 saves, and the two are now widely considered the best one-inning closers ever. At Sutter's July 2006 induction to the Hall, Smith talked with reporters about his chances for election. Like many others, he commented that he was puzzled that he had not yet been selected. "This confuses the hell out of me. But I've always been baffled by it," he said. Smith's candidacy may have been hampered by the number of outstanding relievers on the ballot; Sutter had earned increasing vote totals for nine years before Smith appeared on the ballot, and Gossage—who first appeared on the ballot three years before Smith—has received greater support in each year from 2004 until his induction in 2008. To be eligible for induction into the Baseball Hall of Fame, a candidate needs to receive votes on 75 percent of the total ballots cast by the Baseball Writers Association of America. However, if the candidate receives less than 5 percent, he is no longer eligible for future Hall of Fame consideration by the BBWAA. Smith was first eligible for the ballot five years after he retired, and is allowed to be on the ballot through 2017 if he continues to meet the minimum vote threshold. Should he fail to be elected by the BBWAA, he will remain eligible for consideration by the Veterans Committee; under current rules, his first chance for consideration by that body would be in 2019 for the induction class of 2020. In his first year of eligibility, 2003, Smith received 210 votes, or 42 percent of the 496 total ballots cast. The following year, Smith only received 185 votes, or 37 percent of the 506 total ballots cast. In 2005, Smith improved from the previous year's results, and received a total of 200 votes, or 39 percent of the 516 total cast. Smith came closer to joining the Hall of Fame in 2006 by receiving 45 percent of the ballots cast, or 234 votes. In 2007, Smith's received only 217 votes, just 40 percent of the 545 total ballots cast. Smith increased his total in 2008, with 235 votes, 43.3% of the total ballots cast. He received 44.5% of the vote in 2009 and 47.3% of the vote in 2010. In 2011, he received 45.3% of the vote. He peaked at a new high of 50.6% in 2012, but dropped down to 47.8% the following year. In 2014, he dropped to 29.9%, but received 30.2% of the vote in 2015. Should Smith be on the ballot for 15 years, he would be the last player to be on 15 BBWAA ballots after the Hall of Fame reduced eligibility to ten years. ^ "Padres closer Trevor Hoffman to catch ceremonial first pitch delivered by Lee Smith prior to Thursday's game". ^ a b c d e f g Long, Shepard C. "Lee Smith". BaseballLibrary.com. Retrieved August 13, 2006. ^ Eskew, Alan. "Pierre, Rollins two of many to win Legacy Awards". ^ "1983 National League Expanded Leaderboards". Sports Reference, Inc. Retrieved May 7, 2007. ^ "1985 Chicago Cubs Schedule, Box Scores and Splits". Sports Reference, Inc. Retrieved May 7, 2007. ^ a b c Goode, Jon (June 19, 2004). "Close up with the ultimate closer". ^ "Smith's chances for the Hall of Fame". The Baseball Page. Retrieved August 18, 2006. ^ Svrluga, Barry (June 28, 2005). "C. Cordero Could Tie a Saves Mark". ^ "Nomo wins seventh straight, hits go-ahead double". ^ "Cards Trade Ace Reliever Lee Smith To N.Y. Yankees". ^ Leach, Matthew (June 13, 2006). "Izzy now Cards all-time saves leader". ^ "1993 New York Yankees Trades and Transactions". Sports Reference, Inc. Retrieved May 7, 2007. ^ "Lee Smith Is a New Oriole". ^ "June (Sports Year in Review)". ^ Nightengale, Bob (June 10, 1996). "Bowden's move makes division rivals see Reds". ^ "1996 Cincinnati Reds Trades and Transactions". Sports Reference, Inc. Retrieved May 7, 2007. ^ "1996 Montreal Expos Trades and Transactions". Sports Reference, Inc. Retrieved May 7, 2007. ^ "Giants finalize Minors coaching staffs". ^ Bowers, Faye (March 9, 2006). "South Africa takes to a new diamond". ^ "Major League Baseball International to conduct European Baseball Academy July 27-Aug. 18 in Italy". ^ Bloom, Barry (July 30, 2006). "Sutter Closes Out Historic Day in Cooperstown". ^ Jenkins, Chris (July 30, 2006). "Confused Lee Smith still waiting". ^ "History of BBWAA Hall of Fame Voting: 2003 Election". ^ "History of BBWAA Hall of Fame Voting: 2004 Election". ^ "History of BBWAA Hall of Fame Voting: 2005 Election". ^ "History of BBWAA Hall of Fame Voting: 2006 Election". ^ "History of BBWAA Hall of Fame Voting: 2007 Election". ^ "Gossage voted into baseball Hall; Rice just misses".